Confinement nanny is someone who can provide assurance, extra help and care to mothers and babies during the postpartum period. 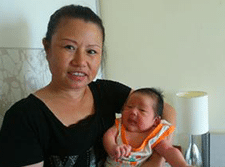 NannySOS confinement nanny agency ( MOM Licence 13C6350) provides stay in nanny and part time confinement lady in Singapore for both mother and baby who deserves to be well rested. The nannies can be hired from 14 days up to maximum of 16 weeks commencing from child’s birthday. 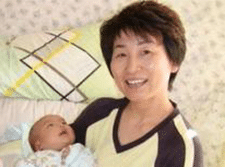 NannySOS confinement nanny agency provides chinese and english speaking confinement nannies with average 5 years experience for locals and expats. We believe every postnatal woman deserves a good confinement period with nutritious confinement food to rejuvenate and regain her energy under the attentive care of experienced nanny. 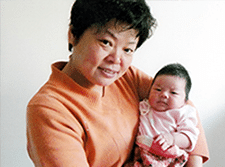 You can also find confinement lady by yourself without engaging the services of confinement nanny agency in Singapore. However, do make sure her confinement nanny work permit is applied if she is from Malaysia as required from Ministry of Manpower (MOM). Confinement after childbirth is very crucial to all mothers. It has been many tiring days and sleepless nights after enduring 9 months of pregnancy along with suffering the pain of giving birth. Traditional postnatal confinement is as important as pre natal as it is a critical period to restore mother’s health and balance. Don’t be surprised some ailments that you used to experience before pregnancy no longer occur as body is “reset” and readjusting to new change. Therefore, mothers should take advantage of this stage. Confine yourself at home. Get your well deserved rest after going through labour and delivery with experienced confinement nanny in Singapore who is around when baby sleep or awakes. Refrain from heavy household chores, sea breeze or working from home if possible. Stay hydrated with warm water, especially Longan and Red Date tea which is beneficial for blood circulation and sleep. Consider confinement herbal bath instead of cold or instant heat shower bath. You should never take confinement too lightly. It can either benefit or affect your health in the long run. Don’t take the risk! 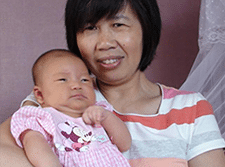 New mummies are highly encouraged to hire Singapore or Malaysian confinement nannies for your first baby with or without confinement nanny agency. 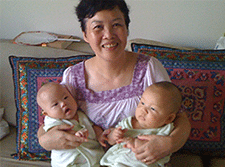 Additional help or domestic helper is required if expecting twins. If your parents or in-laws can help take care of the newborn baby, you may consider confinement food catering or tingkat delivery to save on cost. Besides the lack of experience in responding to the cries of your baby or how to bathe them, first time parents need to know that new born babies tend not to sleep at the timing you wanted them to as well. You will get to experience the happiness and tiredness with days of deprived sleep. The baby will wake up at odd timing or wee hours which you have to tend to their cries if you did not engage the service of a confinement lady. However, please do your due diligence research if you are not hiring through singapore confinement nanny agency as you will be living with or where mother and child is being taken care of by a stranger. Special rates for twins available. Promotion package price for singles available. Price include $30 confinement nanny work permit application fees. MOM levy charges is $60 per month or $265 per month. 28 days confinement herbal package available, inclusive of confinement bath and red dates tea. Besides confinement nanny service, we also provide confinement food catering, prenatal postnatal care, child care services for local and expat families in Singapore. How NannySOS Confinement Nanny Agency Services Can Help You? We believe experience is crucial when it comes to confinement. You will come across articles on confinement dos and don’ts. Some are chinese confinement myths. 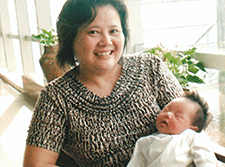 Knowing what to do at the right time and being efficient is the mantra of our confinement nanny in Singapore. Here are some tasks that our confinement nanny will perform. Committed to help mummies cope with confinement period stress-free. Responsible, proper hygiene and experience are key traits of a good confinement lady. 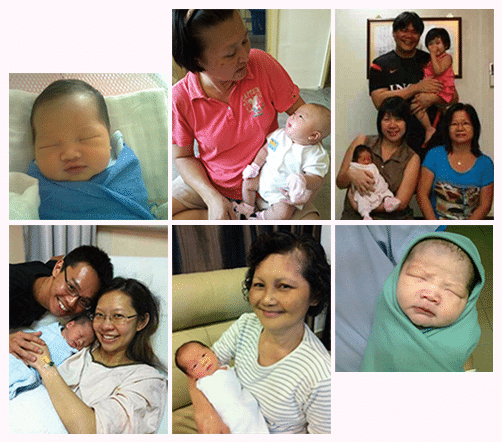 Professionally trained confinement nannies with average experience of 5 years taking care of newborn baby. Islandwide local babysitters near your place. Experienced daytime nanny with infant care support to help working families after maternity leave. Ad hoc babysitters available to stand-in for short 3-4 hours to allow parents attend to any emergency or personal matters. Non halal confinement food catering delivery to your doorstep. Delicious and nutritious 7 to 28 days lunch and dinner confinement package options to help ladies slim down with speedy health recovery. Relaxing post natal, prenatal home massage or yoga courses for mummies. Relieve mind and body from daily stress. Develop baby’s physical, social and emotional growth with our recommended swimming lessons. Specially designed for 4 months old infants. Why Choose NannySOS Confinement Agency? We strongly believe experience is the most important trait when comes to confinement lady. 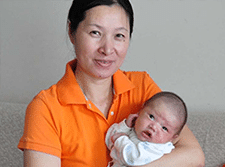 Majority of our nannies have been through pregnancies and have their own babies. Knowing what to do at the right time and being efficiently will bring you a peace of mind! 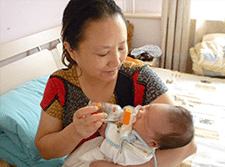 We work with chinese and english speaking confinement nannies. Minimize all language barriers for locals and expats to provide you, the employer, with sufficient training and sharing confinement knowledge with you. This enables you to be ready and confident to handle your baby after the nanny leaves. Confinement nanny services include nanny replacement if you are not satisfied with her work. NannySOS confinement nanny agency provides a pro-rated refund option if necessary. 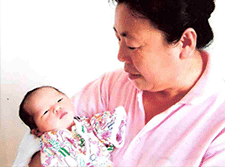 Hiring a good confinement lady from MOM licensed agency with NannySOS services include assistance in applying confinement nanny’s work permit or extension. We also provide childcare services after confinement. Our confinement nannies are good cooks as well. 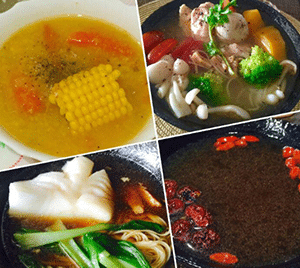 Confinement meals can range from delicious dishes to specialty soups. The use of Chinese TCM herbs promotes better blood circulation, balance Qi and energy for health recovery. In Singapore, 28 days is the most common option for most families. We have parents who opted for 14 days or 40 days as well. Recommended at least 28 days or more for mothers to have a good restful period and recuperation. Will I be able to select my nanny? As nannies schedule may vary due to extension of service, family or health reasons, we do not encourage selecting or shortlisting the nanny to avoid disappointment. She might not available due to unforeseen circumstances such as your earlier than expected delivery. Please be assured we will recommend you experienced confinement nannies closest to your requirements. What if we are unable to work along well with the confinement lady? We have not experience such cases recently. However, we do allow nanny replacement or pro-rated refund. Do I need to apply work permit for confinement nanny? Under Ministry of Manpower (MOM) requirement, it is mandatory to apply work permit for confinement nanny from Malaysia to work in Singapore. Applicable to both stay out or stay in nanny. NannySOS confinement nanny agency will assist you with the application to reduce your hassle. 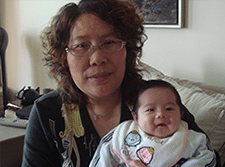 Can I specify english speaking confinement nanny as I do not understand mandarin? Yes we have english speaking confinement nannies who work along well with Japanese, Korean and other non-chinese families. Does nanny provides baby or postnatal massage? NannySOS confinement nanny agency provides baby care, prenatal postnatal massage services which will be performed by our lady massage specialists instead. Referred through friend to NannySOS for confinement lady services and subsequently engage their daytime nanny to help us babysit Owen while we go to work. Auntie Mary’s hygiene is superb! Always following the proper steps in washing and sanitising her hands. Thank you for being so professional and giving us a peace of mind. I should have engaged NannySOS confinement nanny agency in the very beginning! My original confinement nanny is unable to come when i need her! I would advise all parents to go through confinement nanny agency if possible. At least they are responsible for replacement or ensure a nanny will be there. To be frank, I was so worried NannySOS would any how find me a confinement nanny but it turns out better than i expected. Not only nanny Anne takes good care of my baby, she is patient, accommodating, cook well and gives great advice to us. Thank you for recommending such a good nanny for my first baby!